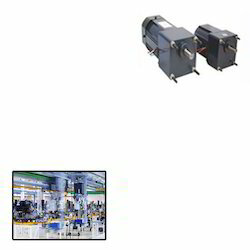 Manufacturer of a wide range of products which include electric ac motor for automation. We are one of the prominent manufacturers and suppliers of Electric AC Motor for Automation. Offered electric AC motor is precisely manufactured by our adept professionals using the latest technology. These electric motors are found in diverse industrial applications. This AC motor is designed using pristine grade components and advanced technology at our premises. Our clients can get these products according to their customized specifications within the promised time frame.